Cardmaking has always been popular, and this book brings this traditional and timeless papercraft right up-to-date through the use of fresh, modern designs, a range of mixed-media techniques and the latest products. This book builds on this tradition, but takes it in new and exciting directions by using all the latest techniques and products. 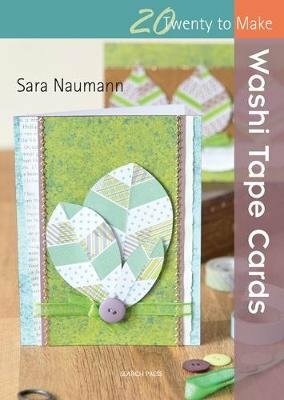 Sara's expertise and background knowledge, coupled with her easy and accessible style, make this book a wonderful introduction to modern mixed-media techniques and products for papercrafters and card-makers of all abilities. The book contains 20 projects - all greetings cards, using a variety of techniques, such as stamping, spray-painting and layering, and widely available materials such as stamps, colour sprays and paints. Sara's passion is for making mixed-media techniques accessible to papercrafters of all abilities, so all the designs will be relatively simple, but very stylish.